Hoteliers are worried about the lacklustre economic growth, not to mention the expected modest growth of 4% for tourist arrivals in 2017. As one of the world’s top meeting spots and financial hubs, it seems that Singapore is never in danger of extreme declines in visitor arrivals. Its booming hospitality industry is supported by 33,000 individuals working to provide the world’s top decision makers, foremost companies, and the city-state’s regular visitors the best hospitality services and deals. However, with the rapid growth of other cities around the world and in the region, Singapore’s hotel industry needs to keep evolving and innovating if it longs to keep its coveted spot in the hospitality business, particularly in the meetings, incentives, conferencing, and exhibitions (MICE) sector. A report by DBS Bank reveals that 2017 is going to be a challenging year for the tourism sector, with a modest growth of 4% for tourist arrivals. With the carryover of new hotels which were originally scheduled to open in 2016 into 2017, our earlier expectation of a more balanced market in 2017 is likely to be delayed into 2018 where the supply of new hotels drops off. The decline in new room supply in 2018 is due to the lack of new land released by the Singapore government for hotel developments over the past two years,” says Derek Tan, vice president at DBS Bank, Group Equity Research. Stiff competition exists in the hotel industry as supply increases and despite economic uncertainties in the region and beyond. According to the UNWTO Tourism Highlights of 2016, the global hotel industry remains to grow, thereby providing opportunities for local companies to amass revenue through internationalisation. With the growth of the hospitality industry, hoteliers are then expected to keep up and provide creative solutions as customers continue to change and reevaluate their expectations. 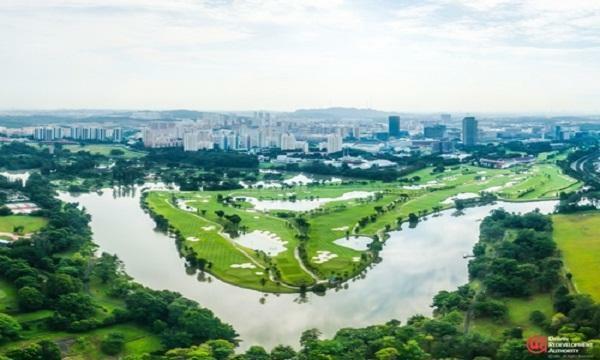 “Singapore faces increased competition from other tourism markets through a variety of factors which include easier access to other countries through the relaxation of visa restrictions, like multiple entry visas for Chinese visitors into Japan; devaluation of the other regional currencies, potentially making it cheaper to visit other countries compared to Singapore, e.g. a weaker Korean won and Japanese yen; and Singapore already having a high market share, e.g. Singapore accounts for 38%-39% of total Indonesian outbound travel,” explains Tan. The Hotel Industry for Sustainable Growth, a report by the Singapore Tourism Board (STB), mentions that the city-state’s hoteliers must be abreast of the current trends and the pressing issues in the hospitality industry in order to encourage investment. According to STB, hotels must leverage technology and analytics, reevaluate business processes and models, enhance customer experience and engagement, and create differentiated value propositions, amongst others. Across the city-state’s hotel industry, STB found impressive examples of innovation from different hotels. With the rise of digital and the growing Internet of Things, hotels can look to technology to address customer demands and industry-wide concerns. Park Avenue Rochester achieved man-hour savings of up to 3.5 fulltime employees by deploying two robots to transport housekeeping linen, refuse, and bulky items for the hotel’s back of house functions. The robots helped room attendants focus on cleaning and eliminated the roles of performing tedious tasks. Amidst the digital revolution and the slow growth of hospitality workforce, automation is inevitable. Data analytics has also become one of the biggest buzzwords across all industries in the global economy. From power companies to banks and now the hospitality industry, data analytics allows executives to make decisions based on highly-detailed customer profiling. In Singapore, The Fullerton Hotels were able to automate tedious reports generation and carry out in-depth analyses across different departments. Insights generated can allow hotels to cater to the most specific tastes of customers by identifying specific services which may be developed and enhanced. Singapore’s luxury hotels will also see growth in 2017, with most of the new rooms under the Upscale and Luxury segments, says Tan. Compared to 2016, there may be more pricing discipline due to constraints by these upper-tier brands to cut room rates without affecting their brand status. As such, luxury hotels will continue to roll out new services and collaborate with wellknown brands around the globe to attract more foreign visitors. “We are delighted to be the first luxury hotel in Asia Pacific to partner with La Mer to offer the best in skincare and indulgent facial treatments. The coveted La Mer Miracle Broth™ facial will be available exclusively at The Ritz-Carlton Spa,” says Peter Mainguy, general manager of The Ritz-Carlton, Millenia Singapore. Meanwhile, Marina Bay Sands’ The Shoppes continued to expand with the addition of Kenzo Kids, Stella McCartney, and Paul Smith Junior. Ian Wilson, senior vice president, Hotel Operations, Marina Bay Sands, says the ArtScience Museum also saw a significant 83% increase in overall museum visitorship following the launch of its new permanent exhibition, Future World: Where Art Meets Science. Looking ahead to the first half of 2017, OCBC Investment Research believes the room supply injection will not be adequately matched by a growth in demand. It says 2,956 rooms are expected to be added in 1H17 and an additional 811 rooms in 2H17, against the room stock of 63,518 at the end of 2016. “FY16 visitor days were up 2.2% year-on-year on the back of 7.7% increase in tourist arrivals. Going forward, we expect leisure demand to show mild to no growth, with STB forecasting a 0% to 2% increase in tourist arrivals and a 1% to 4% increase in tourism receipts. On the other hand, corporate demand is expected to remain soft,” notes OCBC in a report. Meanwhile, DBS says the demand and supply situation in Singapore is likely to become more balanced only in 2018, when supply pressures ease and new room inventory is projected to only increase by 2%. Data from Singapore’s Urban Redevelopment Authority shows that in the fourth quarter of 2016, 6,496 rooms were in the pipeline, 5,841 rooms under construction, and 655 were planned development. 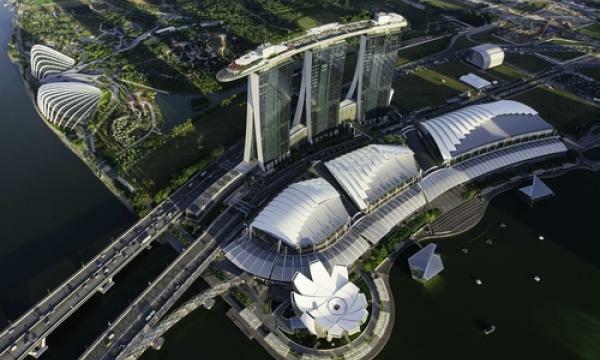 Marina Bay Sands remains at the top spot with a total number of rooms at 2,561. The Sands Expo hosted a total of 3,500 events, including numerous newto-Singapore and returning shows. Hotel Boss and Swissôtel The Stamford both retain their top 2 and 3 spots with 1,500 and 1,261 rooms, respectively. Mandarin Orchard Singapore and Carlton Hotel Singapore placed fourth and fifth, respectively. “The hotel industry remains a key pillar of Singapore’s economic growth. In order to stay competitive, Marina Bay Sands continues to make progress as we pursue a manpowerlean business model by employing new technologies, analytics, and robotics. We strive to do our part to increase productivity within the hospitality industry,” says Wilson. Marina Bay Sands saw a 3.2% increase in its hotel occupancy, clocking in 97.3% hotel occupancy in 2016 across 2,561 hotel rooms and suites. “Our priority for 2017 is to continue sharpening our integrated resort business model by enhancing our guests’ touch points across the property, building loyalty to encourage repeat visitation, and innovating to be even more efficient operationally,” notes Wilson.